Every stylish girl will love this trendy black and white geometirc duffle tote bag. A generous and roomy size, lightweight, unlined with large u-shaped zipper opening. Numerous storage compartments, 2 side gusset pockets and front zip compartment. 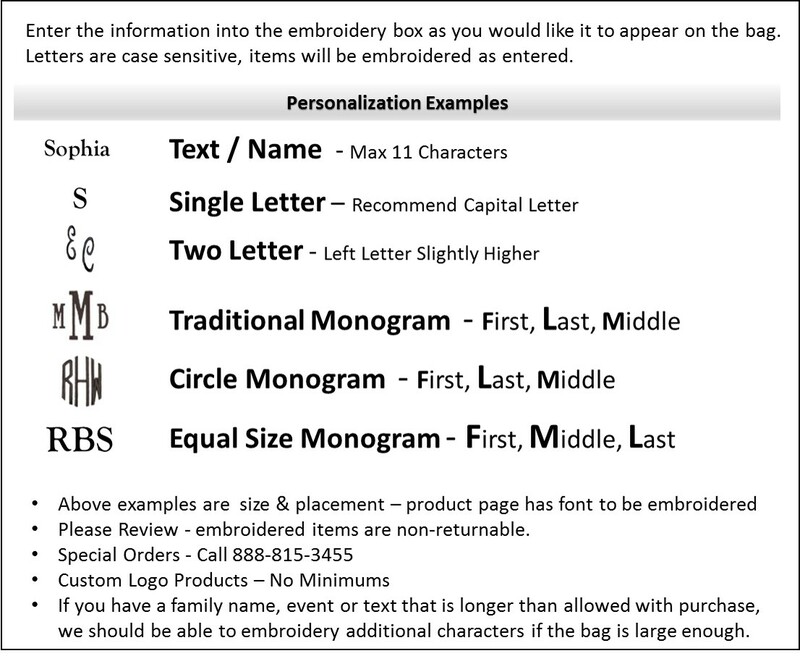 Add your personal name embroidered or a monogram with your choice of thread color. 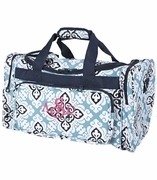 Girls duffle measures 17"W x 11"H, 10" deep. Hand carry or adjustable over the shoulder carry strap included. Foot bottom. The company answered the phone on the first ring when I called to ask a question about the order I had just placed. Did I mention I called on Black Friday? Simply bags monogrammed my bag and shipped it that same morning. The bag was delivered two days later. Now, that is service!